Mangal Ooti is a simple yet flavorful vegetarian side dish from the North East Indian state of Manipur. It is basically a yellow peas curry with aromatic mustard oil seasoning. 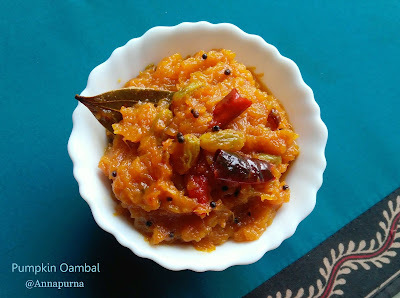 It can be served with any Indian flat bread for lunch but Mangal Ooti is typically served with Manipuri Khichdi during the Kang festival (Rath Yatra of Manipur) . This khichdi is comforting and delectable and very different from the regular rice-lentil khichdi we make. To make the Mangal Ooti, dried yellow peas are soaked overnight and pressure cooked with some cooking soda. 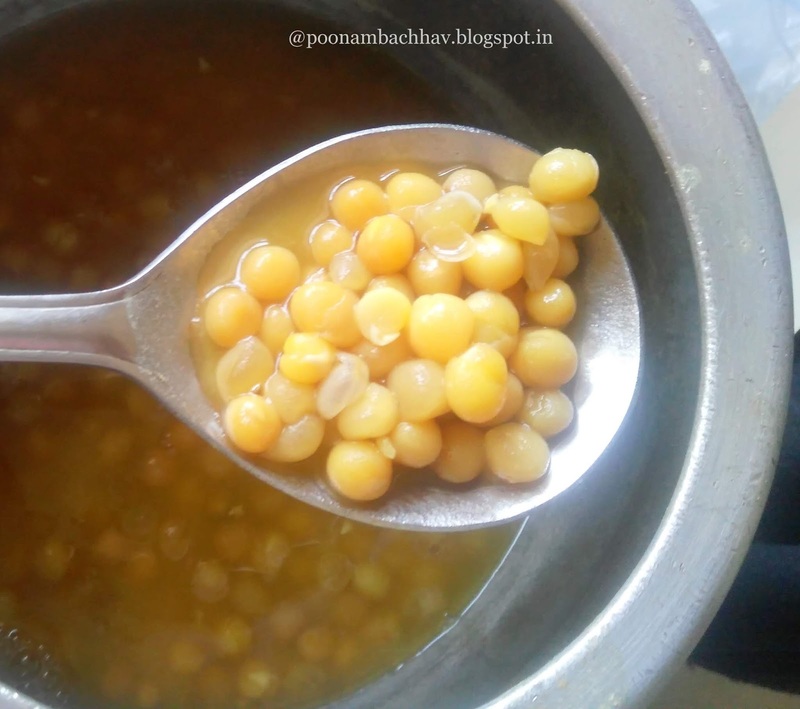 The boiled peas are then added to a aromatic and flavorful mustard oil tadka (tempering) and cooked. It is a delicious curry made with very few basic ingredients and a simple to follow recipe. Apart from pairing it with a Manipuri khichdi, you can serve Mangal Ooti with any Indian flat bread like chapati or phulka or with some steamed rice. 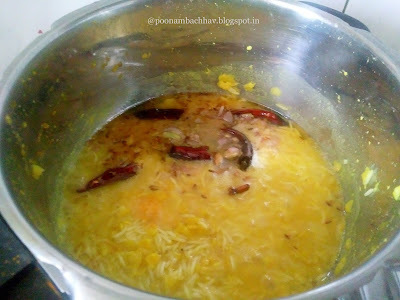 Manipuri Khichdi is prepared with rice , arahar/ tuvar dal, whole spices and peanuts. This recipe calls for pressure cooking the lentil first , then raw rice is added to it along with the ghee tempered whole spices like bay leaves, green cardamom, dried red chilies, cloves . The whole thing is pressure cooked again and fried peanuts are added as garnishing to the khichdi just before serving it. 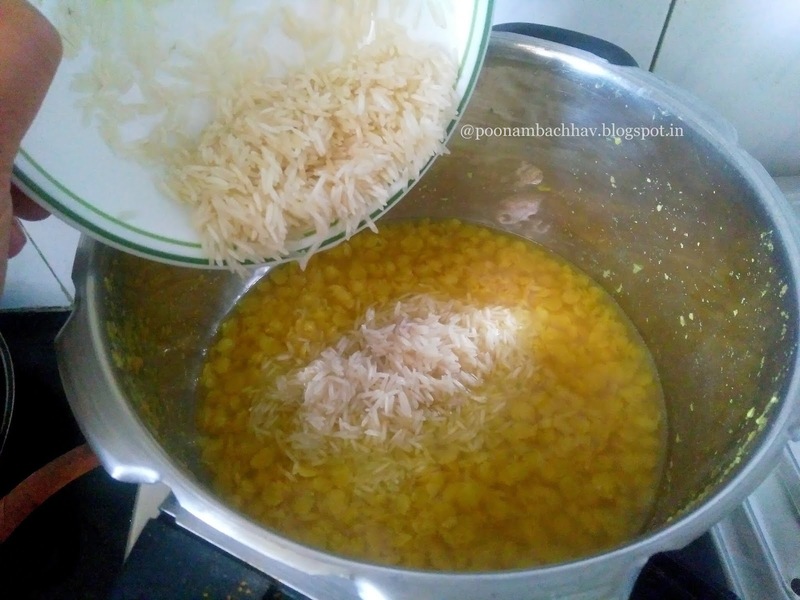 More than the Ooti, my family liked this khichdi and believe me it tastes good on its own and does not require any accompaniment. You may serve it with curd or pickle if you wish. I have made this khichdi couple of times by now and we just enjoy it to the core. I served Mangal ooti with Manipuri khichdi , lemon pickle and roasted lentil papad for our lunch . Wondering why I am talking so much about this particular North Eastern Indian state ? 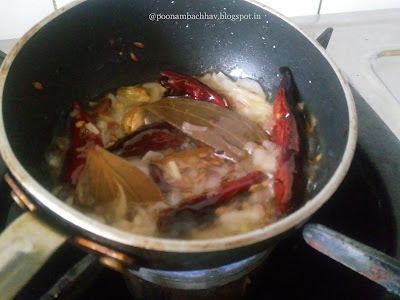 Well, Manipur Cuisine is the theme for the January month on Facebook food group, Shhhhh Cooking Secretly Challenge. 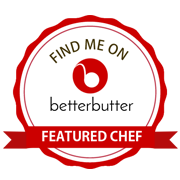 My partner for the challenge was Priya Satheesh who has a wonderful culinary blog, Priyasmenu . 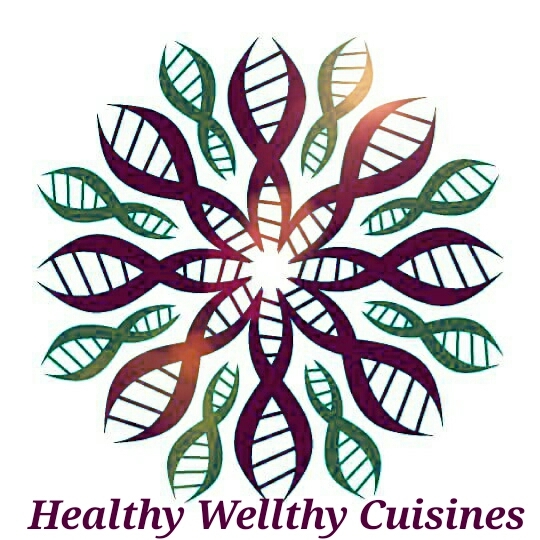 Do check out her space for a variety of delectable recipes. Priya gave me ginger and peas as my two secret ingredients and I cooked this delicious Mangal Ooty using the ingredients. I wanted to pair it with Manipuri Khichdi so cooked it as well. I gave her mustard oil and red chili and she cooked Aloo Kangmet , a staple food of Manipur using those ingredients. I have referred the recipes from here. So let's get started. 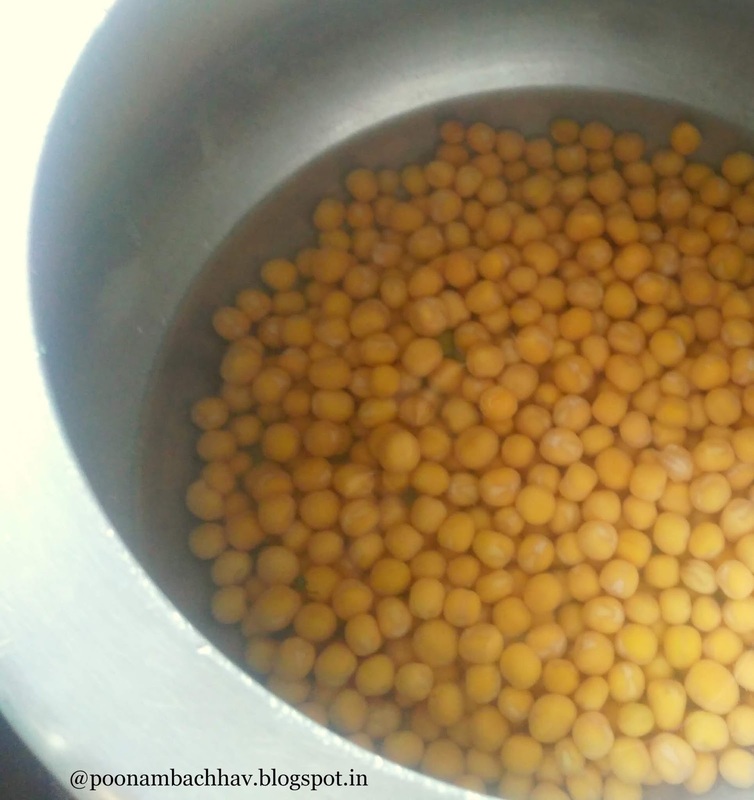 Rinse the dried yellow peas and soak it in water for 6-8 hours or overnight. Rinse the soaked peas and cook them in a pressure cooker with 1 cup water, soda and salt for 2 whistles on medium flame. On cooking the peas should be soft but should hold their shape and not mushy. 2. Heat mustard oil in a pan. Add cumin seeds to it. Once the seeds crackle add broken red chilies and bay leaf to it. Fry for 30 seconds. Next tip in sliced onions with a pinch of salt and fry until they become soft and brown. Add ginger followed by turmeric powder. Saute for few seconds. 3. 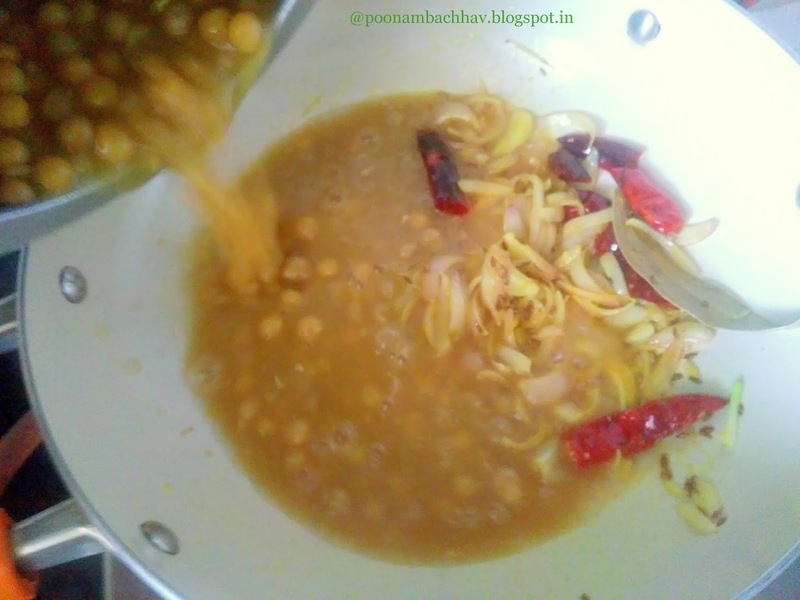 Add the boiled peas to this and add up to 1/2 cup hot water and allow the curry to boil. Simmer for 5 minutes and put off the flame. Delicious Mangal Ooti is ready to be served. Wash the dal and pressure cook it with turmeric and 1 cup water until it is soft. Meanwhile wash the rice, drain and keep aside until the dal is cooked. 2. Add rice to the cooked dal in the cooker and allow to simmer. 3. Heat a small non stick pan for the tempering. Add 2 tablespoon ghee to it. Add the cumin seeds. Once the seeds crackle add the bay leaves, cardamom pods, cloves and broken red chilies. Allow the spices to fry for few seconds taking care not to burn them. Next add ginger and garlic followed by onions and fry for a minute or so. 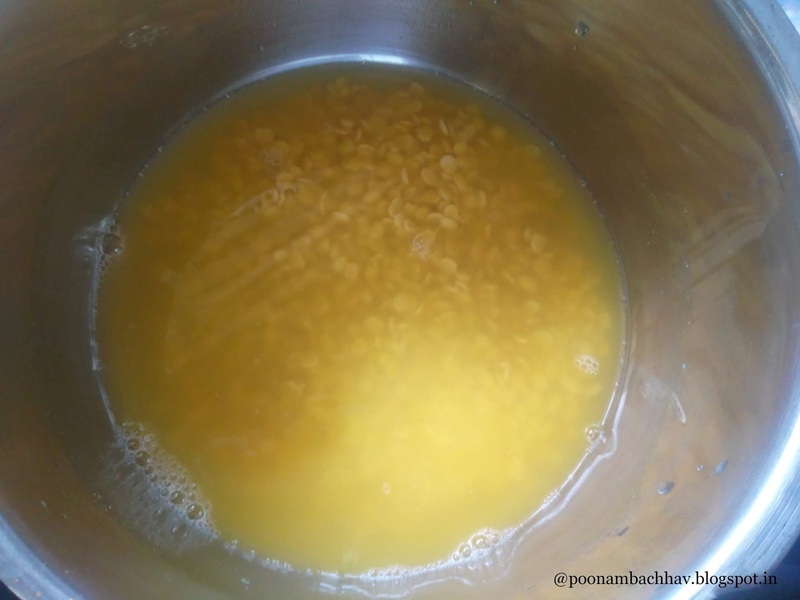 Add this tempering to the boiling dal and rice with salt to taste. 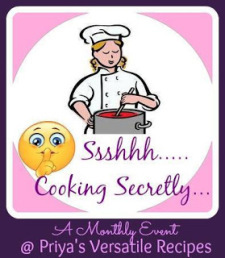 Give a quick stir and close the lid of the cooker and pressure cook for 2 whistles. 4. 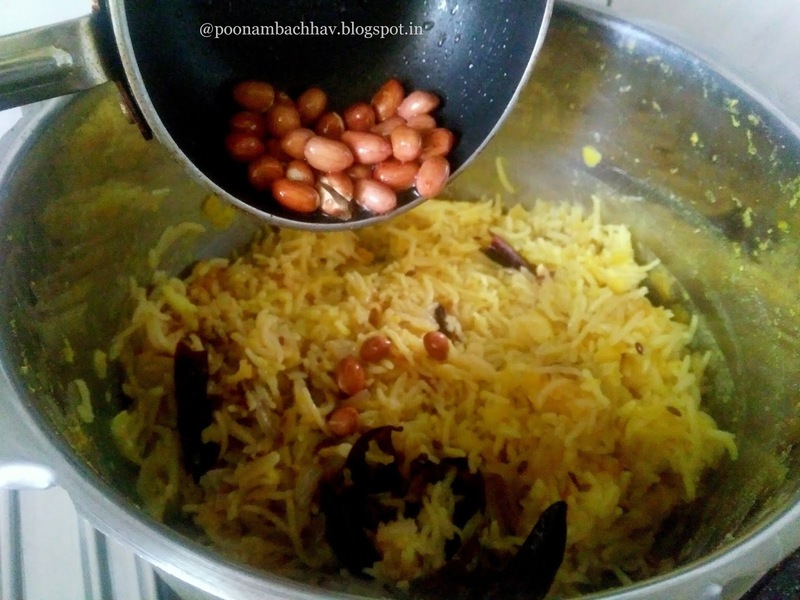 Once the khichdi is cooked, heat remaining ghee in the pan and fry the peanuts in it. Add the fried peanuts to the khichdi, once all the pressure has been released. 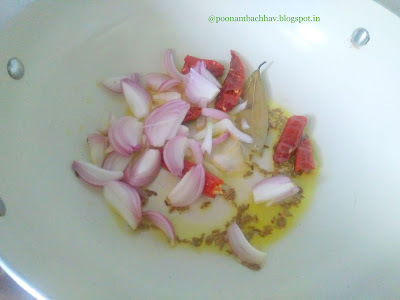 Mix and serve the khichdi either with ooti or with some pickle , curd and papad. Wow Amazing Poonam. Looks mouth watering. Lovely recipe. . what a brilliant share. Thank you so much for sharing such recipes with such lovely details. Perfect combination! Looks super yummy and tempting. Gonna try this soon as I have some dried green peas at home. Both dishes are so simple, yet I am sure they were loaded with flavour. Great share for the theme, Poonam. Love the pics too. Both dishes are looking yummyyy.. Both the khichdi and the Ooti look delicious. I am sure the Khichdi but be very aromatic with all the whole spices! Definitely need to try it out :-) Thanks for sharing. Mangal ooti looks so tempting Poonam. And you also made Manipuri khichdi. Both are looking delicious. Awesome share. The combination of khichdi and ooti makes for a delicious, protein-rich meal. Great share, Poonam. Wow, you did a Double Dhamaka! The Manipuri Khichidi and Mangal Ooti look Made For Each Other! I have actually never cooked with dried yellow peas before, and this looks the perfect recipe to try out with the peas. You made two dishes!!awesome. The peas curry looks very inviting. I will cook the same combo soon. Mangal ooti looks so inviting and delicious.The combination of kichadi and ooti must have tasted awesome. 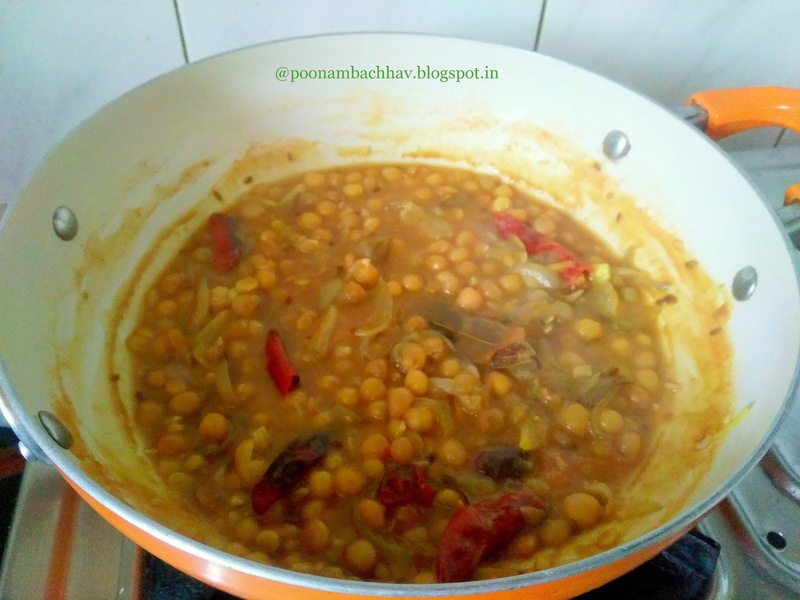 This is a protein loaded meal Poonam and I loved it especially the addition of peanuts in the end for the khichdi, very similar to our masale bhaat, right? Temple food is always unique and the taste is divine. For me khichdi is usually paired with kadhi or yogurt. This combination is worth a try. Adding peanuts to the khichdi would certainly please my hubby. Kichdi and peas curry looks like a super combo. These look so delicious and satisfying dishes. Step wise pictures is very helpful. They make a great share for the Manipuri event. Wow this is interesting never read a khichdi cooked in this way. The curry is inviting and I love the complete meal. the mangal ooti here looks amazing ....surely it pairs well with that kichidi Poonam :) Lovely share indeed !